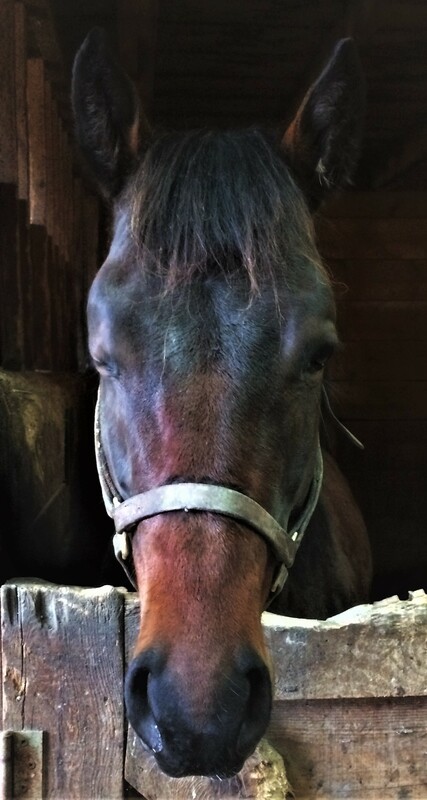 We came across this strong and robust looking colt on a farm in upstate NY and fell in love with him and his powerful looking rear-end (engine); we are thrilled to offer him at such an affordable price. He is by the sire Desert Party (from Street Cry (IRE)) who earned nearly a million dollars in his racing career. He is a young sire with only had 102 starters but an impressive start to his stallion duties with 56 of those starters being winners and 4 of those 56 winners are stakes winners. Desert Party is off to a very solid start as a sire and his foals are strong and robust, just like our colt. Our colt is out of the mare Dancewiththebride who earned $275,000 in her short racing career, winning three stakes races and finishing 2nd three times and 3rd five times in her other stakes races. She has produced seven winners with three of them either winning or placing in stakes races. Our colt's 2nd dam is stakes placed and has produced six winners including two stakes winners. In addition to his strong muscular construction, this colt offers a proven and promising pedigree. The pedigree suggests that he should be a two-turn horse that can get the classic distances. He will be trained by trainer Patrick Quick and stabled at Belmont Park. As a NY bred, he is eligible for the lucrative purses offered in the restricted NY bred races at Belmont, Saratoga and Aqueduct and he will race on that circuit. He is currently in training and should be ready to race by the end of 2017. Price includes all maintenance costs through the end of the current quarter. Please note that prices increase quarterly to reflect the additional costs incurred for the previous quarter.